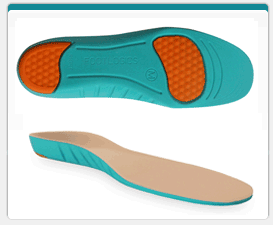 Medical-grade orthotics for people with Diabetes, Arthritis or Sensitive Feet. Footlogics Sensi has been designed to greatly reduce pressure and friction on the feet. 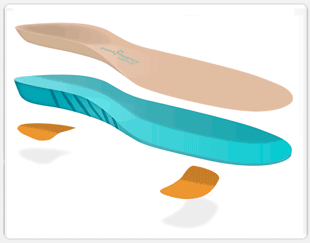 The orthotic is shaped to match the plantar surface of the foot providing both support and cushioning along the entire length of the foot and evenly distributing the forces of walking to protect sensitive areas from excess pressure and friction. In turn, this will help reduce the chance of developing foot injuries and ulceration. Footlogics Sensi can also be useful for people with arthritis and/or sensitive feet, the elderly and people recovering from minor foot injuries.